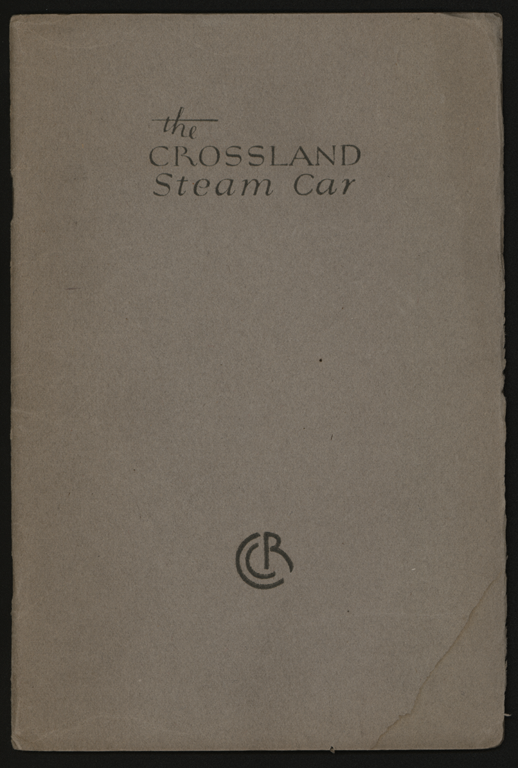 Two trade catalogues document the The Crossland Steam Car. The The Hagley Museum & Library holds a trade catalogue produced by the Crossland Pfaff Engineering Laboratories of Chicago, IL. It is a part of the Z. Taylor Vinson Collection at the Hagley Library. The Virtual Steam Car Museum holds a trade catalogue produced by the Crossland-Rock Falls Corporation of Sterling, IL. More research is in order. This is the Crossland Pfaff Engineering Laboratories trade Catalogue from the from the Z. Taylor Vinson collection of transportation materials, Courtesy of the Hagley Museum and Library. A finding aid for the Z. Taylor Vinson collection can be found at the The Hagley Museum & Library. This is the Crossland-Rock Falls Corporation trade catalogue from the VSCM collection.